Budapest is a pretty impressive city, with some stunning places to capture a great photo. Sprawling palaces, public squares, fairy-tale castles and imposing bridges show off the cities best architectural styles and give an insight into a city once divided: Buda, Pest and Óbuda. 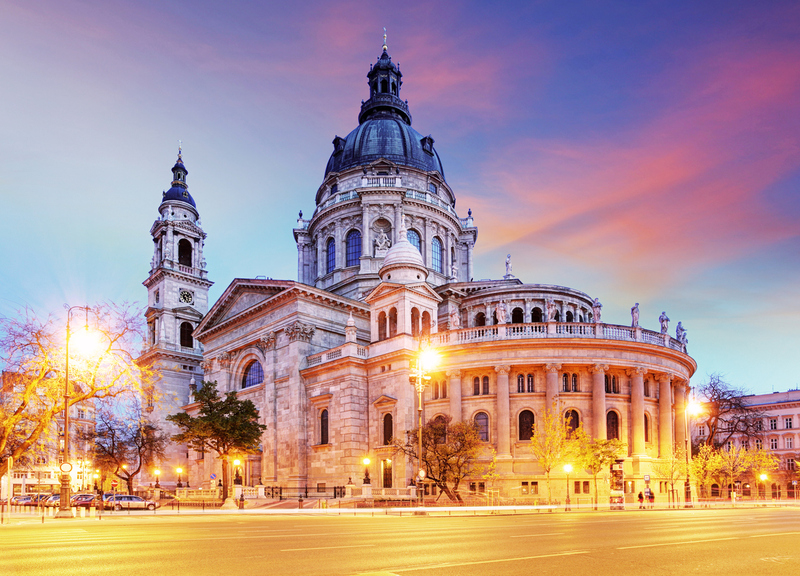 Here are five of our favourite places to see in Budapest for that perfect Instagram photo. Standing on the banks of the Danube, this renowned building was designed by architect Imre Steindl. 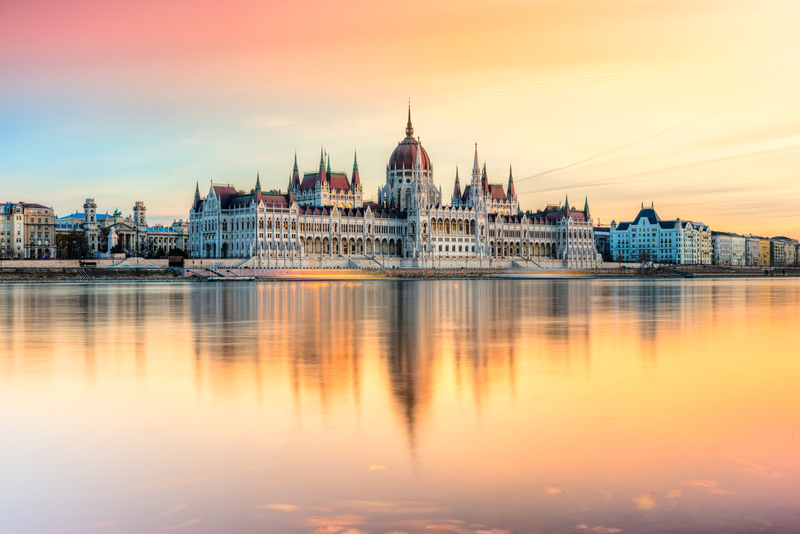 Full of neo-Gothic character, it’s the country’s largest building, Budapest’s tallest, and the third largest parliament building in the world. Work started in 1885 and took around 17 years to complete. There’s a handful of hot thermal baths in Budapest, but Széchenyi is one of the best, popular with locals and tourists alike. 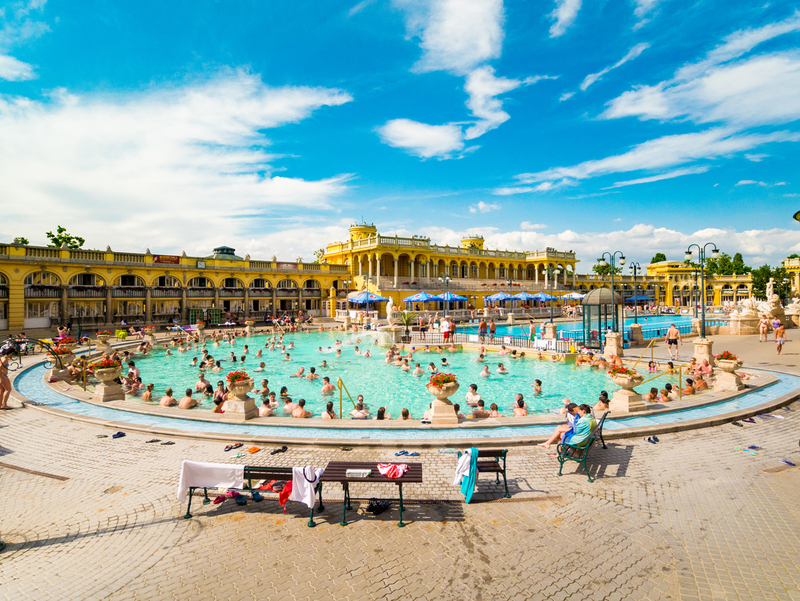 Busier than Gellért or the Lukacs baths, it’s the largest medicinal bath in Europe with two thermal springs high in magnesium and other healing minerals and properties. The ornate 20th century yellow buildings that surround the pools are a wonderful contrast to the sky blue water. Fisherman’s Bastion on Castle Hill is an eye-catching landmark around Matthias Church, with no less than seven towers. Open to the public, you can climb up to the terrace to see panoramic views over the city – especially the Parliament building. Discover the many walkways, arches and stairways in and around this striking building. 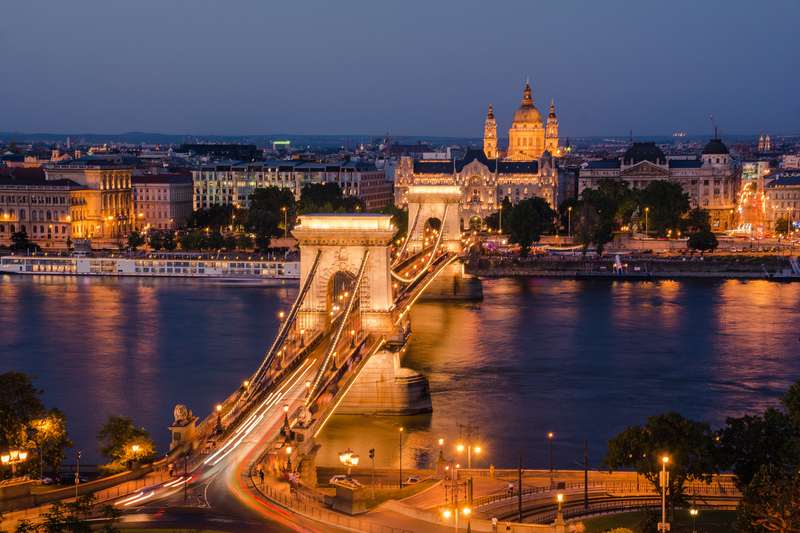 Opened in 1849, Budapest’s Chain Bridge connects Buda and Pest for pedestrians and cars. By day or night, this iconic and symbolic bridge looks great on camera and features intricate detail, iron plates and stone lion sculptures. It’s roughly 380m long! This stunning neoclassical cathedral is open daily to the public, and is one of the most important buildings in the city. 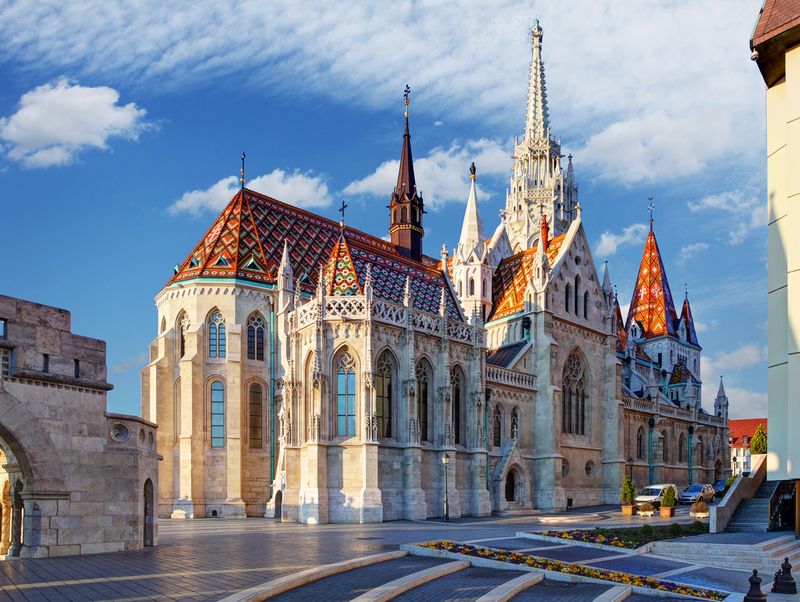 It was named after Hungary’s first king and has been restored over the years since 1851. The cathedral plays host to music events throughout the year and has an observation deck in the dome where you can see uninterrupted views over the city.